Well, I’m here to say that, in case anybody wondered, having a first and in-depth experience of shingles while cruising singlehanded on a small boat is an absolutely terrible idea! On the other hand, having that experience present itself in the neighborhood of a friendly and supportive harbor and community really helps a lot. Shingles is a follow-up to childhood chickenpox, endured by some of the people who had chickenpox, generally sometime after they get to the age of perhaps starting to think about reading glasses. It is something to do with herpes, affecting nerves and skin, as well as muscles associated with nerves. It’s not a nice time, but you get a lot of sympathy. In all the assorted health experiences I’ve had, in telling people this or that I have never heard so many emphatic exclamations of “OH NO!” as I have during the last two weeks, followed by complete understanding of whatever is going on to try to make it better, and offers to help. Though it’s been a difficult time, it’s also been very heartwarming, and the kindness from everybody, from total strangers to an assortment of friends, has made the whole process easier than it might have been. This event got into gear just as I arrived in Belfast, planning to be here for three days or so, meeting up with Suzanne on her way to and then from Gouldsboro. It’s now been two weeks, and thoughts of departure are becoming more realistic. For a person who prefers holistic medecine, Belfast is ideal as a place to land during a healthcare situation. There are quite a number of holistic healthcare practitioners, as well as folks with thoughts on whom to recommend. Two of those practitioners came to the dock to make boat calls, for which I am enormously grateful; those visits resulted in a nice range of possible treatments in addition to what I was already doing. All of this brings to mind the larger subject of illness or injury while solo cruising. I still have thoughts of Newfoundland, and this issue of possible incapacity is the one that slows that idea down the most. The bottom line is, would I be willing to live somewhere for an extended amount of time during a recovery process, far from people who know and care about me and my well-being? Two or three weeks is not such a big awful deal, but what if it was a few months? A year? My new long-term residence? Being a person who does not travel easily at the best of times, other than in one or another rather unique boat, the question is real. How much am I willing to risk, in order to go sailing? To sail far? Risk is inherent to everything – to life itself, as well as to any venture in a boat. But one measures, holding the possibilities alongside one another. Having shingles on a small boat can make a person really wish to be at home on land, being taken care of, with all of the comfort that both of those imply. During the worst of it, I seriously considered that we could take the boat out of the water right here on the adjacent ramp, and I could ride home by road to our new place in Gouldsboro, an hour and a half away, and say “enough.” The situation eased, and I’m glad to still be on the boat, but it does get you thinking. As it is, I am now close enough to seaworthy to be ready to give it a try. 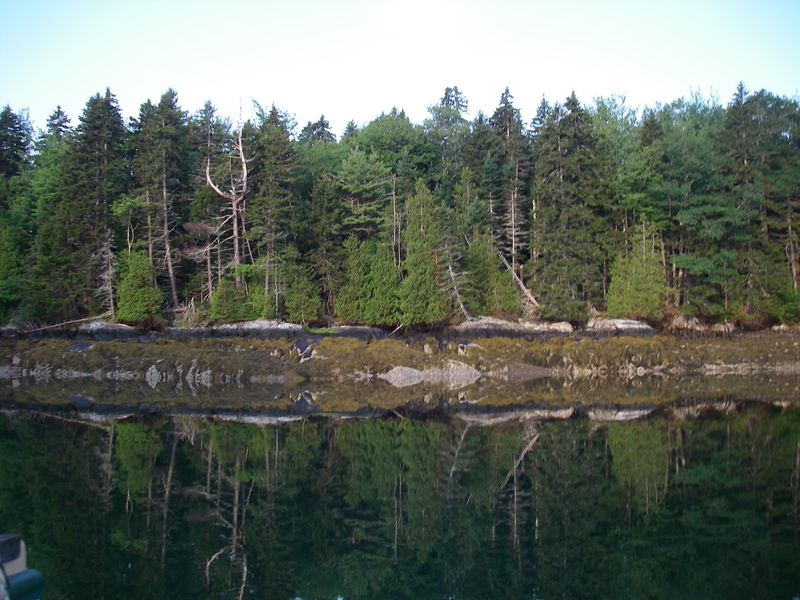 With luck I will go across to Holbrook Island, outside of Castine, and continue recovering in the peaceful stillness of the surrounding woods and rocks. Sometime after that I hope to be working my way east, back toward Gouldsboro. In the meantime, my heartfelt thanks go to each one of the many people who have helped during this extraordinary time. Following are some of the strategies for shingles that I’ve found. It is important to note that I am not a healthcare practitioner, and these are not recommendations; what I have done, or thought about doing, or learned along the way, are all included as food for thought for readers in doing their own research. http://store.peacefulmountain.com/products/shingles-rescue-plus (also available from many other suppliers) – this is a water-based gel that includes both homeopathic and herbal ingredients. It is fragrant, which was problematic for me, so I only used it for one day, but it was very soothing. Lemon balm (Latin name: Melissa officinalis) – there are a number of products available for shingles that include this herb. It is also available as loose, dried leaves, at natural food stores in the bulk herbs section, or online. The loose herb can be made into a tea which can be drunk, and/or applied to the skin. The plant is in the mint family, so it’s a question whether it is appropriate for use at the same time as homeopathic remedies. Anybody considering using this herb might want to do some in-depth research – there are mentions of thyroid considerations, perhaps among others. Homeopathy – I like homeopathy best; for many reasons it suits me well. Choice of particular homeopathic remedies depends upon the characteristics of the individual. For intense problems, for example shingles, I believe it’s best to find a skilled homeopath for guidance. Seawater – especially as a cool compress using a washcloth. This feels outstanding at the time, including where there are blisters, and seems to help with reducing skin discomfort later on in the day or evening – I’ve tried for doing it twice a day. There’s a lot of magnesium in seawater, along with many other minerals. There are also microscopic bits in seawater that I’ve been learning about recently, called phages, that apparently go after bacteria and viruses. Nothing but good, if it’s true! Raw honey, applied topically, is mentioned for shingles in a number of online sources – I didn’t do this, because it’s messy, and would have been difficult to manage over such a wide skin area while on the boat. Otherwise I would have tried it, using Manuka honey, which is said to be particularly good for treating wounds and burns. Honey is completely liquid at body temperature, so when used for a skin treatment it needs to be contained somehow, either with bandages, or maybe plastic. EFT (Emotional Freedom Techniques), brain retraining exercises, and basic breath work – each of these has also been very helpful. Resources on everything except the breath work are described and referenced elsewhere in this blog, and can be found by using the search box in the upper right part of the page. There are of course mainstream Western medicine approaches to shingles, including antiviral medication, and now a vaccine to increase chances of preventing it in the first place. There are also other holistic treatments not discussed here (acupuncture comes to mind). As everybody says: check with your doctor! Shingles is a wild experience, and a wide array of approaches for getting through it can be helpful… I wish anybody who needs this information the very, very best in a speedy recovery. Glad you’re dealing with all this so successfully! A few comments from an old biology teacher. “Holistic” is good, being the idea of treating the whole person rather than just the body or body part. Homeopathy, as a part of that, is hooey–all magic, no science. If it works at all, it is all placebo effect (which itself is very powerful, since our experience of discomfort and illness is very much affected by out beliefs and attitudes about it). Seawater is indeed full of viruses (aka phages); some, called bacteriophages, attack particular bacteria; alas, the ones in seawater are unlikely to be the sort that would attack a human pathogen, since we aren’t marine creatures. Modern medicine is good not for some arcane, “mainstream establishment” reason, but simply because it has been rigorously tested and found to work, and we generally have a pretty good idea how. The rest I won’t comment on, since I don’t know enough. Good luck with the rest of your cruise! Oh I opened a can of worms with that set of thoughts! Interesting about phages being viruses – I really do have to go study up more on all that. But perhaps we can agree to disagree on some of these questions! Homeopathy is often called hooey because modern scientists doubt that anything in such small dilutions could have any effect, and especially that higher dilutions could be more poerful than lesser ones. However, there ARE double-blind crossover tests that have been done with homeopathic medicines, mostly in Europe and farther east, which do show that they are effective. In addition, they work wonder on animals. Now maybe we can influence out animals to heal by giving them homeopathics and transmitting non-verbal messages, but I think animals are too smart for that. Also, the first time I tried a homeopathic remedy on my cat, I was sceptical and it still worked. I think homeopathy may one day be seen to be related to quantum physics. And if it works, that’s what matters – and there are no recorded side effects when used properly. Yes, I’ve been thinking of you through this. Interesting about the recovery time, after the skin thing is back in order. Lots of rest stops planned, and working on accepting the idea of doing things that way for a while yet. Thanks for the encouragement! Oh Shemaya! I have never had shingles but my mom did and I Remember how awful she felt. I do get cold sores which are a close cousin to shingles being in the herpes family. I got the vaccine when I turned 60. Isn’t a vaccine like the ultimate homeopathic ? A taste of the culprit watered down. Did you put kelp on the blisters? I think you told me to do that on sunburn a hundred years ago. Good for you getting the vaccine – it seems enormously worthwhile. Pretty funny, about the ultimate homeopathic! Interesting about the kelp, which I don’t remember knowing about for sunburn but I’m going to keep in mind now. Also didn’t try it on the blisters, but right off it makes me think how easy it would be to apply, which would be a big plus. I wonder if it works! 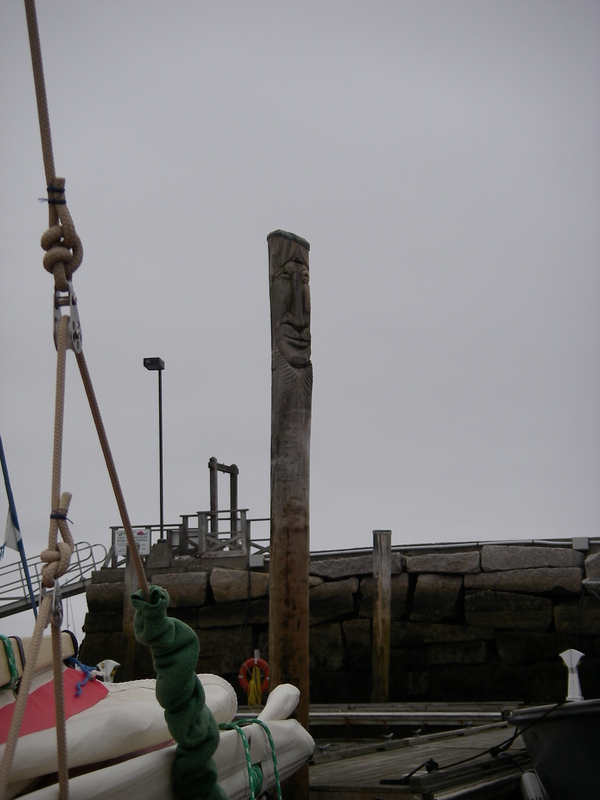 Now it’s mid-September, and time to call you again, as I’m back in Penobscot Bay. Not far from Friendship! Re going to Newfoundland: first, there could not be a group of friendlier and more helpful people. When planes were stopped en route to the US after 9-11, more than a hundred passengers were stranded in NL. More than there were hotel rooms and other accommodations, more than the population of some of the villages that took these people right into their homes, fed them, provided extra clothing in many cases, found baby equipment, and so on. Travelers not in distress are treated well also. As my daughter replied years ago when someone asked her what the people in New Brunswick were like, “They think people are a treat!” Newfoundlanders do, too. They know the value of helping others because they in turn may need it. One of my best friends here, also extremely sensitive to everything, first got help from a homeopath in NL and continues to work with her by phone, email, and the mail. I think you’d be quite safe if, God forbid, anything like that happened again in Newfoundland. While I understand shingles are excruciatingly painful, I am happy to hear that the Mainers treated you so well. Historically, Maine and Atlantic Canada have often been closer to each other than to their neighbours in their own countries. That feeling of kinship has not gone away, not in Downeast Maine, anyhow. Glad you are moving there! Keep on healing and sailing! It’s really good to hear all those impressions of Newfoundland – quite encouraging, and I very much look forward to getting there. Maine is nice too. Something about getting farther north and east seems just the ticket, as far as finding like-minded souls. P.S. I made my second leak test Sunday 9th and not a drop of water came in where she had leaked before, nor any other place. Good old glue-&-flour paste to fill the voids at the edge of the sheet of plywood that form the (entire) bottom of my boat. Hooray for the first sail on the tiny yacht! Saw the photos (here, for those who would also like to see: http://www.pdracer.com/boat-building/904-went-sailing/ ). Congratulations!! !